The Rule of Law | What Would The Founders Think? Liza Clark my bunnies vet furosemide for dogs uk for further information.. The rule of law is the foundation for our liberties and our economy. It simply means that we can organize our lives, operate our businesses and plan our futures in the certainty that the laws of the land apply to each of us equally. It means that no one is above the law, not our neighbor and not our president. At least that’s the way the system is supposed to work. However, this president sees things differently. By President Obama’s directive illegal immigrants from the ages of 15 to 31 will no longer be apprehended and deported as the law requires. His decree enables them to apply for work permits, obtain Social Security numbers and driver’s licenses and apply for financial aid for college. 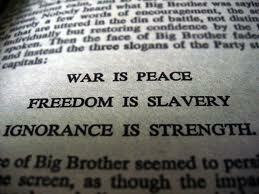 That thumping you hear is George Orwell turning cartwheels in his grave. (Note that the subjects have morphed from illegal to undocumented immigrants.) Orwell said political speech and writing corrupt language, but noted that language also corrupts thought. The “updated guidelines ” are a case in point. This blogger is not arguing against reform of immigration laws, but only for reform that respect the rule of law and are accomplished through the constitutional process that has served he nation well for more than 200 years. In his book “The Totalitarian Temptation, (1976) Jean-François Revel warned that the monopolization of the media and the means of enforcing obedience represent a great temptation for tyrants who wish to transform societies quickly and on a mass scale. He also observed that those efforts haven’t worked out well. Revel condemned liberals of his day for rejecting capitalism, which produces wealth and freedom but is imperfect, while being drawn to communist ideology despite its record of misery and slaughtered innocents. What else will President Obama decree the “right thing to do?” We have four years in which to find out. I think your last sentence should say: “We have at least four years in which to find out.” obama is the rule of law. Is there a person living in this country today who doubts this? As he has shown, he will do what he wants. Who will stop him? John Boehner? Mitch McConnell? The house of representatives? The senate? Chief Justice Roberts? The supreme court? I’d love to hear your argument on this, Marcia. I doubt that four years hence there will be a presidential election. Face it! We’ve crossed the Rubicon. Our current form of government is no longer a constitutional republic. There is no constitution! He’s violated or disregarded the constitution and the bill of rights many times. First and foremost, he’s ineligible to be president. He can imprison you now without due process. He’s attempting to violate people’s religious liberties. He’s attempting to confiscate people’s guns. He, on at least a couple of occasions, has not submitted his budget to congress on time. That he hasn’t violated the constitution or the bill of rights more is attributable to too much time on the links. Give him time. He’ll get around to it. He just made need longer than four more years. Thanks for your comment, Jeff. He is guilty as charged, but giving up is not an option. When politicians corrupt our language, what they are doing is lying right to our face. They know they are lying, and we know they are lying. We are just suppose to be too “polite” to notice and call it out for what it is. There, of course, is a more appropriate word for that sort of politeness. In an earlier era, the people called it cowardice. You are so right. Worse than the politicians are the media when pretending that politicians’ duplicitous declarations are gospel. Excellent post and I agree with it (you) 100%, however, sadly I haven’t read his decree as yet; does it actually “enables them to apply for work permits, obtain Social Security numbers and driver’s licenses and apply for financial aid for college.”? Or, is this someone else’s (DHS?) opinion? I guess what I’m asking is: does his decree make them only lawfully present but without legal status or does it make them ‘citizens without legal status’? Rather than try to decipher bureaucratic gibberish here are answers from the horse’s mouth, so as to speak. Although I am not sure the reference is to the correct portion of the horse’s anatomy. “If the U.S. Citizenship and Immigration Services (USCIS) grants you Deferred Action status and employment authorization, you may be eligible for a Social Security number. From what I read work permits are issued for two years and are renewable. So, provided with a SS number and driver’s license indicating residency, is voting next?